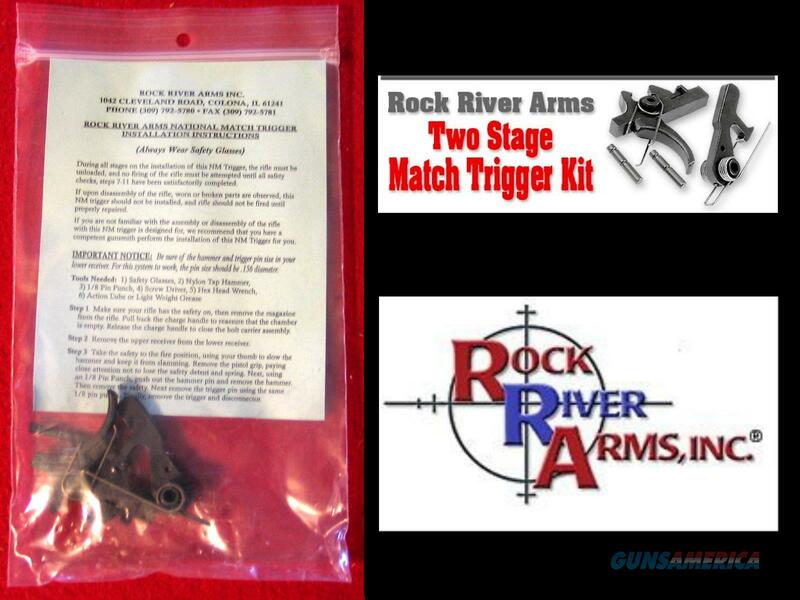 Rock River National Match AR Two Stage Trigger Kit – New in plastic bag – see photo – RRA Part# AR0093NMK. 4.5 to 5 pound pull weight. Rock Rivers National Match 2 stage trigger kit in plastic bag with instructions – good for any brand Mil-Spec AR – New / old stock with blue instruction card from Rock River Arms. SALE PRICE WHILE SUPPLY LASTS. We offer 3-day inspection but Layaway payments, Special Order deposits, S&H and Credit Card fees are Non-Refundable. We have a 10% return fee if item is as ad states and you wish to return anyway. Credit and Debit card payments are +3%.